Photography is a means of immortalizing the moments that so swiftly and quickly flee us only to become memories made material simply in the beauty of pictures captured. Photography has been the reason why we have visual documentation of countless precious memories of our lives ever since the very first conception of the instrument of the camera. Whether it has been in the form of capturing moments from our birth, to growing up, golden moments with dear loved ones, family reunions, friendly get-togethers, wedding vows, commemorative events and anniversaries to the day we will wrinkled and gray, photography has played a magnificently precious role in the emotional rendering of our daily lives. Photography as a commercial profession often overlaps with the significance of the role of photography on a more emotional level in our personal lives. These days photography is almost as important as the event it is catering to. Wedding photographers are often the most sought after professionals in the world of personal catering and lifestyle. These days there are skilled and talented photographers specializing in areas and categories of photography well beyond your usual commercial photography types and trends. In fact, newborn baby photography is a most unique niche in the photography world and being slowly and increasingly sought after. The birth of a baby is perhaps the most precious and significant day in the lives of most parents, couples and families, and they in turn, wish to remember and record it exactly as such. From the time when parents were holding up their cameras and taking pictures of newborns in their cribs, an escalation has risen in the demand for photographers specializing in the creation of a newborn’s special baby album, professionally and beautifully photographed. Newborn babies are truly bundles of joy and seen as blessings from heaven, their pictures are today stunningly composed and captured to give them just that magical, adorable almost magical effect and feel. We will be looking at several adorable examples of newborn baby photography below so you can see how to make adorable unique albums for your parental clients or if you’re the parents, plan a beautiful shoot and album for your beautiful baby as well. 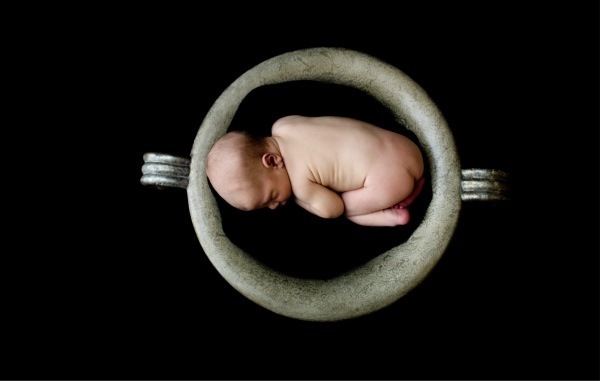 Below are some amazingly cute examples of newborn baby photography made creative and beautiful.